There is no EDIT button on the Images & Multimedia page for the FREE version of our app Sir Hoppity: Challenge of the Dragon. 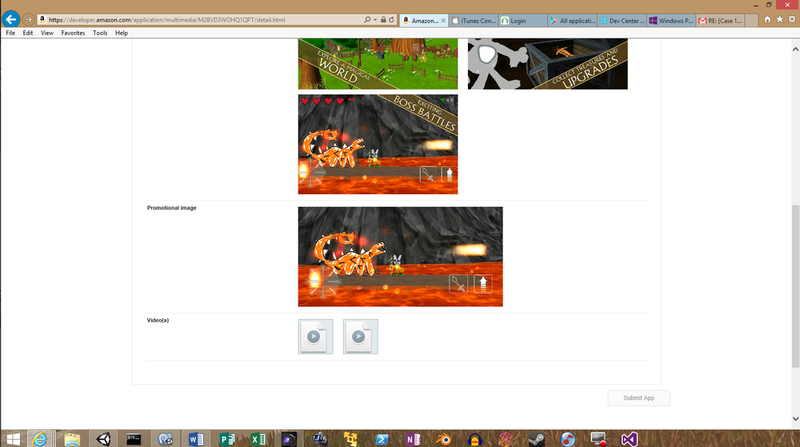 Oddly, the edit button is present on this tab of the paid version of Sir Hoppity: Challenge of the Dragon. It is even present on the Availability & Pricing tab for this same app. Just not on the Images & Multimedia page on this specific app. The two screenshots below show the top and bottom of the Images & Multimedia page. Note on the second screenshot there is NO EDIT BUTTON! Top half of the Images & Multimedia page. see bottom half below! Bottom half of the Images & Multimedia page. THERE IS NO EDIT BUTTON!